So, after 2 days of attending his teachings, I feel an immense devotion to him and very inspired by him. First of all I would really want to say he is a very good talker and he can keep the crowd interested as far as I think. So, to the people who are very close with him , what kind of teacher is he in terms of attitude and teaching style. I look forward to meeting him next time . 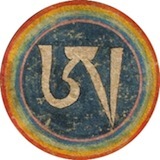 As Heart says above, Phakchok Rinpoche is very unique, he is modern in his way of presenting dharma but when it comes to oractice vey traditional. As you probably know by now he is straight talking but with great sense of humour. He cares vey much for his students and has designed a number of programs for students to follow, even if they are not in regular contact with him. I feel he is someone i can be totally honest with and I know his care and wisdom will be of benefit to me. I know it sound stupid........but what do people usually ask Rinpoche abt,esp when it is first time meeting face-to-face? Have no idea as to why this question is asked or of an answer. My experience is that there are all sorts of students comng to him, some big and bold, others quiet, young, old. He does encourage students to be confident and have dignity...” be lion heart not chicken heart” is an oft quoted phrase by Rinpoche. Ask whatever is relevant ... Maybe giving a little background to Rinpoche of your practice etc would be helpful. Dont worry, Rinpoche will very quickly open up the discussion. Well I’m always very quiet and scared when talking -time to change I Guess. Just be natural. Be yourself. Imagine that he is an uncle that you respect.. It really is up to you, some people talk about, health, mental problems, boyfriend/girlfriend problems and so on. I normally ask about Dharma, it could be anything that bothers you. Phakchok Rinpoche is particularly fun to ask about Dharma, he don't hold back. Or at least, he didn't use to. I haven't seen him for a number of years now. Sounds interesting that he is fun to ask regarding dharma, guess I shall try to do so next time I attend his teachings. Haven't seen him for years? Come visit him in Singapore, since he teaches here frequently. Receiving teaching all over the place and not much practices. Singapore is rather far from Sweden and yes I would drop the girlfriend questions if I was you. I've seen people ask whether they should buy a house, accept a job offer, or get married; what treatment they should pursue for an illness; how to improve their children's chances in exams; what he thinks of a political or social issue; what he thinks of another teacher or some other teaching. People often think that dharma teachers are some kind of omniscient psychotherapists, rather than people who know a lot about the dharma. But I would strongly recommend instead saying what practices you do, what experiences, doubts or concerns you have, and asking his advice on what you should do, then following that advice. The last part is the most important. I am more amused that people would ask Rinpoche such mundane questions(instead of Dharma related qn) in the first way. As far as what questions to ask, in my experience with teachers: ask Dharma questions or questions about medicine, astrology, divination, etc, but don't ask worldly questions (unless you really want to). Also be careful how you phrase things. If tells you to do a certain practice, you really should do it, so be careful how you phrase your questions. People are people. They may want validation, emotional support, someone to look up to, belief that someone is going to solve their problems. This is all normal and understandable, but can also be a bit tiring for a dharma teacher who has to get through fifty interviews after a teaching and before dinner. Hence I have yet to personally ask any Rinpoche any question.